Ask MusicRadar: what's the best use of a sample ever? Sampling is now a mainstay of music production: turn on the radio and you're unlikely to go more than a few minutes without hearing a song that features a piece of audio lifted from somewhere else. But while sampling is now ubiquitous, it also remains an art. Taking an old loop and singing/rapping over it is easy - making something new and worthwhile out of it less so. So MusicRadar wants to celebrate all that's great about this technology by asking you to name the song that makes the best use of a sample. This could be a drum break, guitar riff, bassline, horn lick, vocal snippet or any other type of sound. It could be taken from an obscure record that nobody's heard of, or lifted from one of the many songs that have been sampled to death. 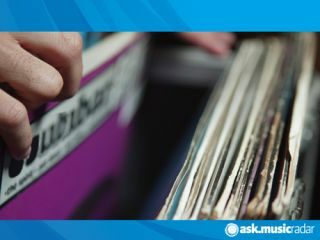 Tell us the name of the song that makes the best use of a sample and - if you know it - the source of the sample itself. Based on your nominations, we'll then come up with a shortlist of the songs that make the best use of samples and let you vote for your favourite.